George Daniel Long has been interpreting Sammy Davis Jr for over ten years and was one of the first artists to devote his skills to the portrayal of the iconic entertainer. George trained at London Studio Centre, during and after which he took his first professional theatre credits of: Tribe/Margaret Mead in Hair (European tour), The Cotton Club (Aldwych Theatre, London), T-Bone and Pete in Carmen Jones (The Old Vic, London) and understudy Engineer and Thuy in Miss Saigon (Theatre Royal, Drury Lane). George left the UK to work as lead vocalist in Sebastian’s Caribbean Carnival (Tokyo Disneyland) and was honoured to be the first British performer to work there. He returned from Japan to perform in Fame (Victoria Palace Theatre, London/UK tour), Music of the Night(Hampton Court Palace and Sweden), Stars of the Musicals (Malaysia) and Magic of the Musicals (UK tour). George went on to play the role of Four-Eyed Moe in Five Guys Named Moe (UK tour) and created the role of Sammy Davis Jr in the original West End cast of The Rat Pack: Live from Las Vegas (Theatre Royal Haymarket and the Strand Theatre, London) as well as two UK tours, earning the show an Olivier Award nomination for Best Entertainment. He was then privileged to be part of the Olivier Award-nominated production of Gershwin’s Porgy and Bess, understudying the roles of Robbins and Sporting Life (including the workshop as Crabman) and Peter Schaffer’s The Royal Hunt of the Sun as Inca/Dance Captain (National Theatre), both directed by Trevor Nunn. He subsequently appeared as Mr Higgins in Jude Kelly’s revival of Carmen Jones (Royal Festival Hall), Bill Jukes in Peter Pan, based on the original play by J. M. Barrie with songs by George Stiles and Anthony Drew (Birmingham Rep), Mary Poppins, understudying the roles of Dinero and TJ in the original West End cast of Sister Act (London Palladium) and Ritchie Valens in The Winter Dance Party (touring). Other appearances include: The Mummy Returns (Universal Pictures), Top of the Pops, National Lottery and Saturday Swings (BBC) and CD:UK and This Morning (ITV). As a dancer and choreographer, George has worked on videos, television appearances and PAs with various artists, including: Westlife (Sony), Boy George (Virgin/More Protein), Mica Paris (Island), Innocence (Chrysalis), Dario G (WEA), Lisa May (Fontana/Juice Groove) and Beatroute (ZTT/Vision) as well as staging fashion shows, working as Assistant Choreographer for Oxford Dance Theatre and choreographing The Definitive Rat Pack. 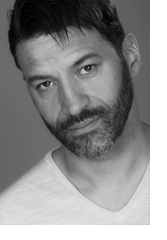 Other recording work includes original cast albums of The Rat Pack: Live from Las Vegas and Sister Act, Stars of the Musicals (TER), Disco 2008, Yesterday and Tomorrow, Jonathan Kaldor and Sebastian Michael’s Alvaro’s Balconyand his solo album, Me and My Shadow.